And so the summer continues. I’m hoping that the weather begins to turn around at some point; I think I’ve only worn a tank-top, oh, twice? 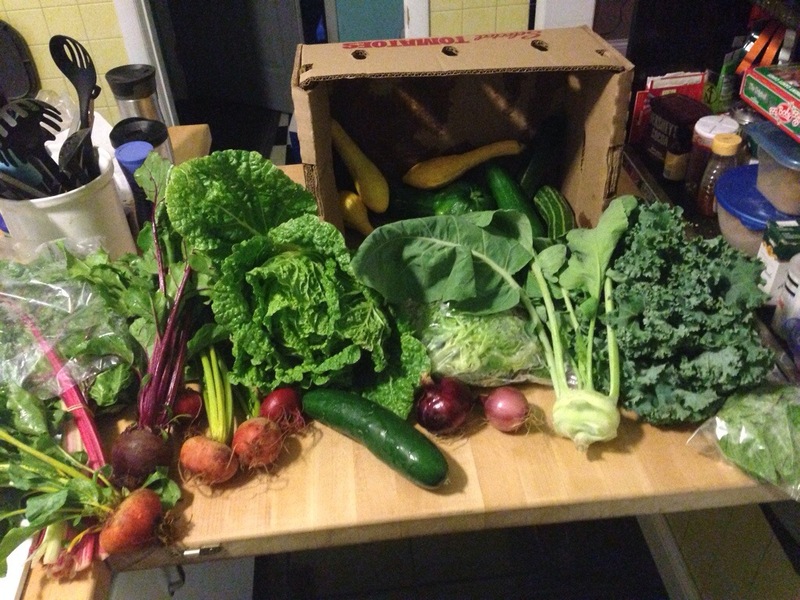 Mike got to bring home the CSA once again as I was at the bakery. I like when he picks it up as well because he can choose our “top-off” options. 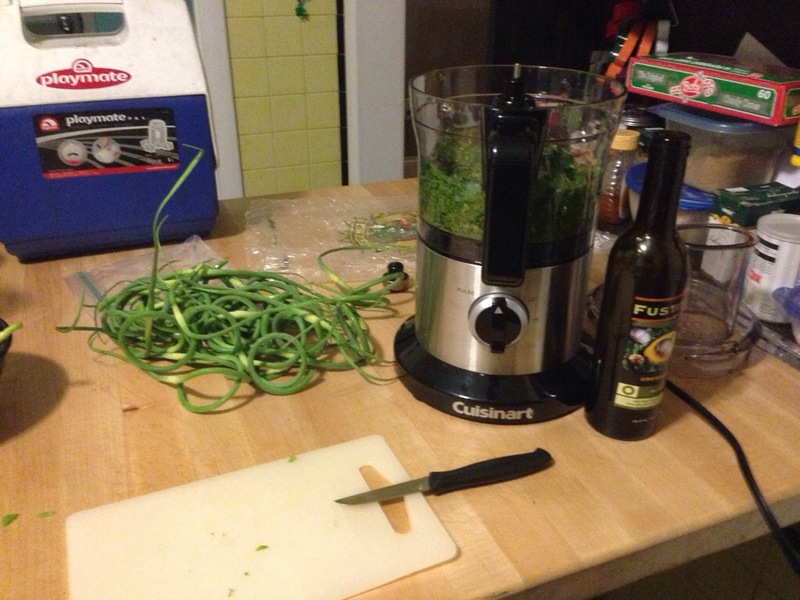 The basil is gone already, as I got to make one final batch of garlic scape pesto.